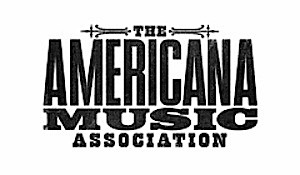 The Lincoln Center Out of Doors and the Americana Music Association have partnered to launch Americanafest NYC. Over the course of the final week of Out of Doors, a series of free concerts and events will be held Aug. 6-10 to conclude the annual “Roots of American Music” weekend. The week of free summer concerts in NYC will include appearances and/or performances from Emmylou Harris & Rodney Crowell, Robert Ellis, Tift Merritt, Cassandra Wilson, The Campbell Brothers, Devil Makes Three, Rosanne Cash, The Lone Bellow, Buddy Miller & Jim Lauderdale, Music Makers Blues Review, Bobby Patterson, St. Paul & The Broken Bones, Charles Bradley & His Extraordinaires and others. Films and symposiums will also be featured in the series, including showings of The Campbell Brothers: A Sacred Steel Love Supreme as well as Heroes of American Roots: From the Historic Films Archives. All events are free with no tickets required (unless otherwise noted). Events take place on NYC’s Lincoln Center’s Plazas between Broadway and Amsterdam Avenues, from West 62nd Street to West 65th Street (except where noted). A full calendar of events is provided below. Talkin’ Blues: Music Makers Relief Foundation’s Beverly “Guitar” Watkins, Ironing Board Sam and Tim Duffy in conversation with Dom Flemons. Exhibition Hours: 12–8 Monday and Thursday; 12–6 Tuesday, Wednesday, Friday and Saturday. Closed Sunday.